On the debugger window there are options to change materials in real time. For values coming from textures, check material property » tune. Of course, you need to have reflections active. Check the D3D9 options on Orbiter Launchpad. From that angle and with the sun directly above, there should be sunlight reflections on the payload bay radiator panels. My best advice it to create test materials. 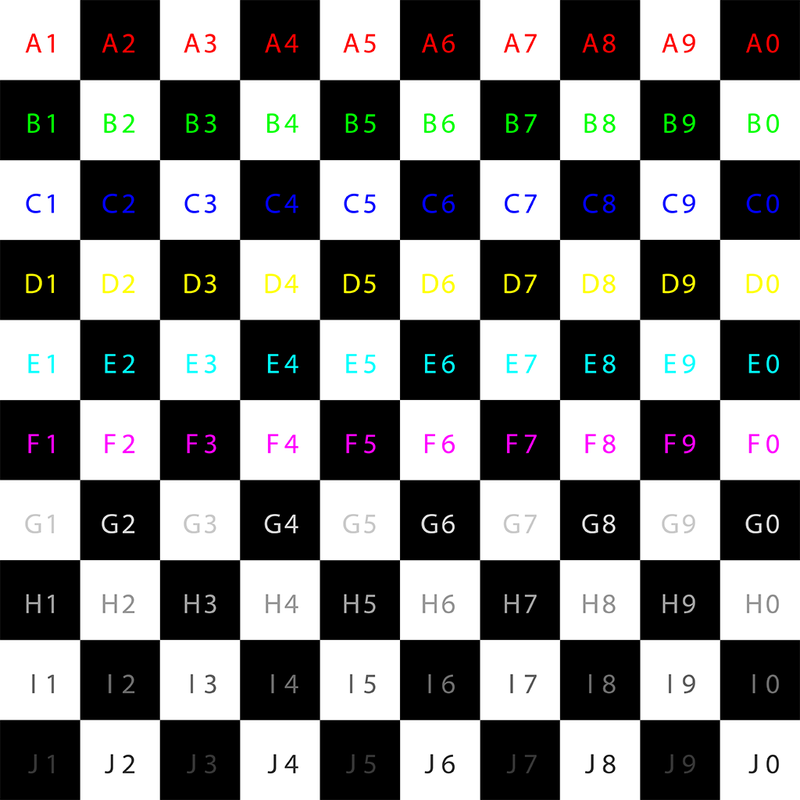 but with a values ranging from black to white instead of just black/white squares. That will show what value ranges give the effect you need. some words for you kuddel to thank you for the D3D9 XPready version you made some months ago, that i tried for the first time last week, giving to me the possibility to see how D3D9 actually works with nightlights. I'll try to complete my work on that subject including now - and it was necessary - the informations taken from the client to. I had copied the installation folder to another PC but now the Video tab does not apper in the launchpad when I start orbiter_ng.exe . What I have to do? Did you remember to activate the D3D9 module in the 'Modules' tab -> Graphics engines -> check D3D9Client checkbox? Also make sure that you have the correct DirectX runtimes installed. There is a link on Jarmo's D3D9Client download page. I'm having trouble finding this item. From the site click on Documentation, there you will find RUN time libs. I have downloaded the new version of the D3D9Client a view days ago and I would like to express my appreciation of it. It's has become amazing! All the colors, everything. I also like the LensFlare feature very much. Furthermore, I have posted a suggestion for Eclipse shadows in Orbiter under the "ORBITER: 2010-P1 and newer" forum section. I think this may also be applicable to the D3D9Client, with all of it's beautiful visual effects. Eclipse simulation like in Space Engine would be amazing. I was just putting together a scenario for Cassini at Saturn today (30 Aug) and noticed that Saturn's rings look a bit dark on the "lit" side and bright on the "shadowed"side (using D3D9 Client). Is it meant to look like this? I couldn't reproduce your issue at first, while running default scenarios (Year 2001). But changing the date to "now" (Year 2017) the issue comes up!